If you lock yourself out of your car, it can turn out to be a very tricky situation. It may seem like an odd occurrence but when it does happen, it can cause unwanted trouble and frustration at the same time. You might be stranded in a deserted place with no help in sight and even repeated calls to your car dealer are not yielding any fruitful result. So what do you do in such a situation? For reliable assistance during a lockout, call City Locksmith Store. We serve anywhere in Kansas City, MO and the best part is we are available 24/7. So, the next time you are locked out of your car you know who to call. Why City Locksmith Store is better than your vehicle dealer? 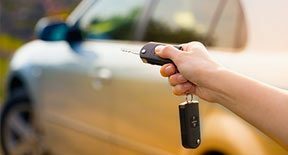 If you think only your car dealer can arrange a spare key or unlock a jammed lock for you then you should definitely read further. 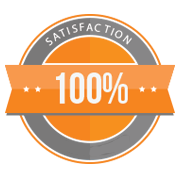 Locksmiths can do the same work that your dealer will do but at a cheaper rate and take less time to do so. A car dealer’s main line of business is selling cars, a specialty service like key making or unlocking a door is not part of their core business, which is why they charge more. But that is not the case with locksmiths. You can get in touch with City Locksmith Store if you need any kind of auto locksmith assistance. Call us on 816-826-3081 to hire an auto locksmith today.